Dr. Walter Thomas Richardson is widely known for having served for 26 years as the Senior Pastor at Sweet Home Missionary Baptist Church in Perrine, Florida. Sweet Home in 1983 was a small community of faith with approximately 125 members who met for worship twice a month, and grew to become a mega church with multiple worship services each Sunday. Dr. Richardson currently serves as adjunct professor of religion at St. Thomas University where he teaches “World Religions.” He teaches Judaism, Islam, Christianity, Hinduism and Buddhism, and is called upon frequently to speak on the various religious expressions of faith. Dr. Richardson is also the senior chaplain for the Miami-Dade Police Department. 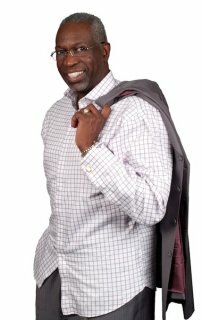 Dr. Richardson is also an accomplished author having written two books, “Going through Samaria” and “Think on These Things.” Dr. Richardson, a fifth generation preacher, humbly serves God and his community. While the Senior Pastor at Sweet Home the church was and is still involved in holistic healing for the family in that it offers ministries involving singles, married couples, youth, the elderly and peer counseling at all levels. By letting the Word of God flow through Dr. Richardson, Sweet Home Missionary Baptist Church is reaching out to the entire community, resulting in a racially and culturally diverse congregation. A visionary, Dr. Richardson through the blessing of God was instrumental in leading the congregation in the erection of a new modern church facility in 1991. That church filled to capacity soon requiring multiple worship services. Then Richardson led the church to purchase 13 acres of land for future expansion. But almost simultaneously, 24 acres of land became available which the church purchased. The end result was the successful completion of a second building project which opened for worship services January 11, 2009. An articulate advocate for social justice, Dr. Richardson has been a leading voice for social change throughout the state of Florida. His voice and opinions are sought after to address issues that negatively affect the marginalized; whether women, blacks or any other disenfranchised groups. An accomplished minister of the Gospel, Dr. Richardson is also known nationally for his musical talent, having recorded with several choirs and artists, including the Florida Mass Choir. He has written several songs and many them have been recorded. Dr. Richardson is the recipient of many awards, honors, and proclamations recognizing his dynamic work. He has emerged as one of the most well-known, Spirit-filled preachers, activists, and educators of our time. A Miami native, Dr. Richardson was born on July 2, 1948 to Bishop Walter H. and Mrs. Poseline M. Richardson. He is married to M. Dolores and they have been blessed with two wonderful children, Walter L. and LaKisha and have ten grandchildren.